There are lots of cloud CRM software available in the market. The SugarCRM is one of the best among them. 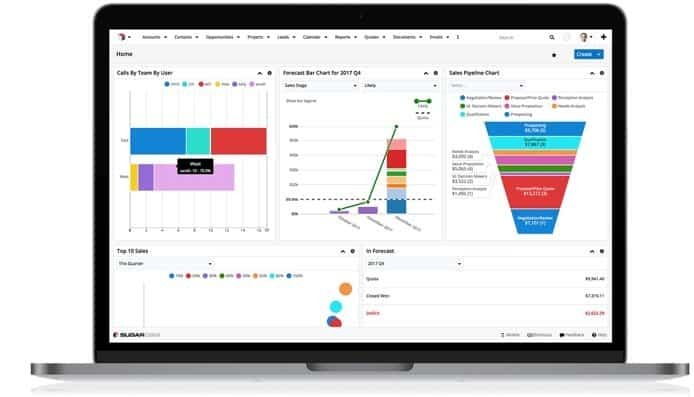 In the SugarCRM review, you will find a brief idea regarding the features, pros, limitations, pricing, current user and, another hidden secret of SugarCRM. Actually, SugarCRM is a California based software company. They develop customer relationship management software, web application software, community edition CRM software. SugarCRM is a software company based in Cupertino, California. It produces the web application Sugar, a customer relationship management (CRM) system. The main functions are sales and marketing, customer support, collaboration, social CRM, Mobile CRM, and reporting. The SugarCRM Company has numerous website including forum and third party extension features. SugarCRM has more than two million users. SugarCRM is popular for its Community Edition CRM features. Sugar CE is reputed for its CE features. This CE is open source and available in paid and free version. But now, the sugar community edition is officially closed. We can call that SugarCRM is software as a service. Like the SaaS service, SugarCRM offers all the facilities. The user can opt to use on-premises service and service of cloud computing like Salesforce, AWS, and Windows Azure. The main criteria of CRM are that it must be online. SugarCRM is also an online version. 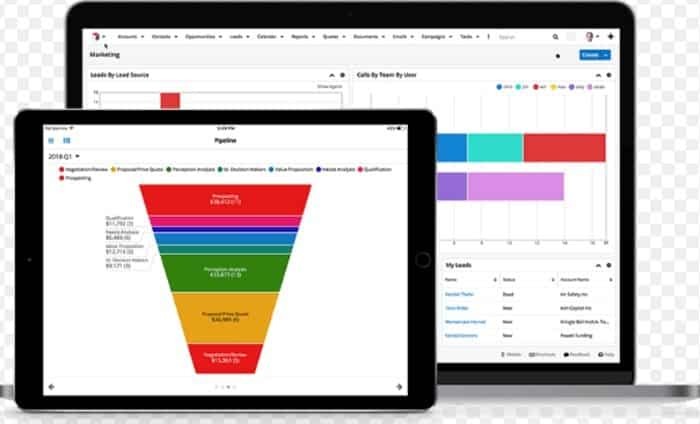 Like all the features of available CRM in the market, SugarCRM has sales, marketing, and customer database management features. People also use SugarCRM mobile version. SugarCRM is open source because of its CR edition nature. They have both the free and paid version software for their user. SugarCRM started their journey as open source software. Later they converted into community edition 5 software. In community edition 6.0 version they introduce SugarCRM mobile and SOAP functions. SugarCRM is both the online version and the cloud version. As a result, they use a software as a service or SaaS software. SugarCRM has a cloud backup system. We can call it a full version cloud customer relationship management system CRM. As the user of SugarCRM, there are a lot of positive and negative points of SugarCRM software. In the SugarCRM review, I will discuss some of the important aspects regarding features, pros, corns, relative price, and customer support. There are lots of user of SugarCRM. Some big fish are htc, IBM, Audi, Wilson, T-Mobile, Sennheiser, backcountry, AGFA, ZURICH, and mountain America. In this SugarCRM review, we just take the available source of internet. Some user of sugar CMR reported that this CRM is only for small and medium business. There are some claims regarding business intelligence and customize reporting. The system administration tools are limited. This cloud-based CRM is 17th position out of best 50 CRM of financeonline.com. There are lots of cloud-based CRM on the market. Some of the market competitors of SugarCRM are Salesforce CRM, Zoho CRM, ESPO CRM, SuiteCRM, OroCRM, CiviCRM, and Zurmo CR, etc. Some people search online CRM and some people search cloud-based CRM. 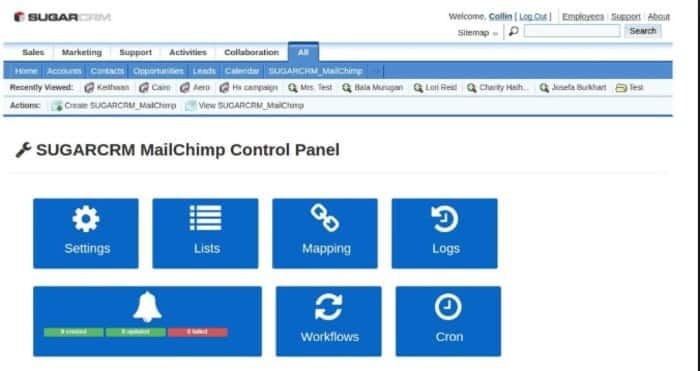 SugarCRM had a feature which was community edition CRM. However, SugarCRM now offering three types of product. As a business person, you can try the trial version of SugarCRM. You can visit the SugarCRM website to get more idea of SugarCRM Review.